Here's how to participate in a live-streaming MBA class next Tuesday on the topic of Why Smart Executives Fail. The HP Empire is under grave threat from peasant shareholders who actually want its stock price to increase. The board must not allow it. The story of the brazen loanshark in Inner Mongolia who fleeced up to $1 billion from 5 local Chinese banks. NEW YORK (TheStreet) -- I used to work in the voice recognition industry. That was 11 years ago. Back then, voice rec was often touted by many as the next big thing. Guess what, it's still the next big thing. There were some great people who worked in the industry. Mike McCue started Tellme which eventually got sold to Microsoft(MSFT_) after raising a boatload of money from high-prestige Valley VCs. He's now the founder of popular private iPad reading company Flipboard. McCue is so admired; he's on the Twitter board. Therefore, when I hear about how the Siri personal assistant is going to be integrated into the next version of the Apple(AAPL_) iPhone 5, I'm excited as a user of the technology, but I would be cautious about running out to buy Nuance(NUAN_) just because it's in the voice rec space. You need to recognize that the incredible bounce Nuance shares -- 10% in the last five trading sessions -- is all about iPhone 5. And you probably be positioning yourself for an inevitable pullback in Nuance shares after the iPhone 5 launch, rather than piling in. Nuance is a huge industry roll-up. Back when I was in the industry, there were about a dozen speech recognition vendors (who built software to recognize people's voices). Today, there's basically one: Nuance. SpeechWorks, Nuance, and Lernout & Hauspie all got rolled up into one. As that happened, Nuance got a lot of extraneous businesses. Like medical transcriptions. There's a big part of Nuance that just involves saving doctors' transcriptions and sending them to Bangladesh every night to be typed out. So, when people get excited about Nuance stock today, it's usually because they assume that Apple will buy them. However, Apple likely doesn't want to be in the Bangladesh transcription business. What if Google(GOOG_) bought Nuance? It's possible. Google has been doing more and more in speech rec over the last few years and have hired a number of talented people from the industry. I suspect they feel they have enough good people in the area for what they need. When it IPOs, expect one Alibaba Group IPO - not several parts IPOs. Chelsea Clinton is young, smart, and capable - but not qualified to be on IAC's board. She needs industry experience and skin in the game. New Chinese rumors say Alibaba Group and Softbank or Masa Son might also take a run at Yahoo! The story behind my 2007 Yahoo! campaign and what new social media activists should do to start an Arab Spring in Corporate America. After some complaints last week about using Compete.com as a source for the top Business Websites, here's another list from ComScore. How can you be the Chairman of HP after the last 11 months and give yourself a promotion? Ray Lane must go now. Some home truths about Meg Whitman. It's Either Tim or Arianna. The Center Cannot Hold. Tim Armstrong and Arianna Huffington are locked in a Shakespearean battle for control of AOL - only Armstrong doesn't know it yet. This HP Board has screwed up so many times, it's a joke. They need to be completely dismantled. Who Is Tops in Business News? Here are the recent numbers that who which business media sites are doing the best in the new online and mobile world we live in. NEW YORK (TheStreet) -- Earlier this spring, when Yahoo! (YHOO_) was bumping along around $16 a share, David Einhorn bought the stock. When he revealed the new holding on May 2, the stock jumped. A few days later, it closed at $18.65 a share. Investors were finally ready to buy in to the Yahoo! sum-of-the-parts story which suggested the stock was worth in the mid- to high-$20s. "The Partnerships established a new position in Yahoo! at an average cost of $16.93 per share. The company developed an extraordinary anti-shareholder reputation in recent years, beginning with its ill-advised decision in early 2008 to turn down Microsoft's(MSFT_) equally ill-advised (and ill-timed) bid to buy the company for $31 per share. "Now, under new management, YHOO has taken some increasingly shareholder-friendly steps. It has given up competing with Google(GOOG_) in the web search business, a move which is improving free cash flow by reducing capex and operating expenses. It is using the improved cash flow to step up share repurchases (the company bought back more than 7% of its outstanding shares in 2010). YHOO is also taking steps to unlock value from some of its Asian assets in a tax efficient manner, including its 35% stake in publicly-traded Yahoo Japan. "YHOO currently has $3 per share of net cash on its balance sheet and has approximately another $8 per share of value in its two minority equity stakes of publicly traded companies in Asia (Yahoo Japan and Alibaba.com). Assigning a conservative valuation (5x current year EBITDA) implies $18 per share for just the core businesses and the publicly traded securities and cash. "We believe that Yahoo's most valuable asset is its 40% stake in Alibaba Group's still-private holdings, which are separate and distinct from its ownership in the publicly-traded Alibaba.com, which we are essentially getting for free. Among Alibaba Group's privately held Chinese internet assets is a company called Taobao, which is the leading eCommerce website in China. More merchandise was sold on Taobao last year than on eBay, and Taobao's merchandise sales are growing 100% annually. We would not be surprised if YHOO's 40% stake in Alibaba Group alone was ultimately worth YHOO's entire current market value. YHOO stock ended the quarter at $16.68 per share." "Shortly after [our] purchase, the value of the Chinese assets came into doubt as the CEO of the Chinese unit hived-off a valuable subsidiary into a corporation that he personally controls. From there, the finger pointing started going in every direction. This wasn't what we signed up for. We exited with a modest loss." The pain for Yahoo! shareholders didn't end until Aug. 8, when the stock bottomed out at $11.09 with 60 million shares trading that day. Coincidentally, that date was the first day that Dan Loeb bought 2.5 million shares of Yahoo! for his Third Point hedge fund. He continued buying for the next month until he became the company's third largest investor owning over 5% of the company. "We firmly believe that there is much to be gained from a successful and rapid transition in management, as we are convinced that Yahoo is grossly undervalued. We have followed Yahoo for many years, and our analysis suggests that at a share price of $13.61, with $2.49 per share in tax adjusted net cash, $3.10 per share and $5.24 per share of after-tax values for the Yahoo! Japan and Alibaba Group stakes respectively, core Yahoo is left at an implied value of $2.78 per share or 2.2x 2012 EBITDA. "With more effective and focused management, one could realistically envision a re-rating to at least 7.0x 2012 EBITDA, driving a target of over $19.00 per share. When coupled with tax efficient outcomes for its Asian assets, an additional $3.00-4.00 per share stands to be realized. Continued share count reduction via buybacks and other potential capital structure optimization alternatives would further bolster the Company's stock price.
" In addition, based on our discussions with industry experts and entrepreneurs, we believe that with new management, there is significant further value in leveraging Yahoo's globally trusted franchise and platform for a range of new products and innovations. "Focusing specifically on the Alibaba Group, the mid-term value potential for this stake alone could represent another $5.00 per share of upside. The e-commerce interests housed under the Alibaba Group umbrella hold the dominant positions in the "B2B" (63% of 2010 market share according to Marbridge Consulting), "C2C" (85% share) and "B2C" (51% share) Chinese e-commerce markets. Alibaba Group's Taobao business is essentially Ebay and Amazon on steroids in terms of market share and revenue growth. "According to Goldman Sachs, the Chinese e-commerce market was $75 billion in 2010, with a 3-year forward compound annual growth rate of 43% compared to the $193 billion U.S. market with compound annual growth of 14% over the same period. We currently estimate a pre-tax value for Alibaba Group of $25 billion. Given Alibaba Group's growth potential and market share, it is entirely conceivable that Yahoo's 40% fully diluted stake in Alibaba Group could double in value over the next 2-3 years, highlighting its tremendous value." With certain value-enhancing steps, in other words, Loeb sees a company worth $28 a share. And I think he's being conservative when he says Alibaba Group would be worth $25 billion today. More realistically, it would be worth between $40 billion to $60 billion today -- depending how frothy the market was at the time. So how can you have two equally smart and capable hedge fund managers come to such different conclusions about the same company? You can see both have the same basic assumptions for the tangible part of the business. It's just that Einhorn assumed Alibaba Group was worth zero after the Alipay fiasco (or at least the risk attached to that asset was too high for him to keep holding). On the other hand, Loeb saw Alibaba Group as worth $25 billion. He also indicated that the relationship between Yahoo! and Alibaba Group could be saved (after getting rid of most of the Yahoo! board). In fact, at a conference last week in New York in response to a question from Lee Cooperman (who also owned Yahoo! earlier this year), Loeb hinted that he'd personally been in touch with Jack Ma and something was in the works with him making a play for Yahoo! or its Alibaba Group stake. I think the bottom line here -- and it's my educated guess -- is that Einhorn had done less research on Yahoo! than Loeb and just could handle the idea of looking like a fool in front of his investors if Ma did something crazy or Yahoo! 's board did something dumb. Einhorn isn't alone in that view. On Aug. 8 -- the same day Loeb was jumping on Yahoo! 's stock at 52 week lows -- I met with 3 large investors in New York who were looking at Yahoo! All three wouldn't touch the stock, despite my strong urgings to the contrary. They all talked about Ma as a loose cannon and how they'd look terrible in front of their investors if he screwed things up. When I argued why I believed he wouldn't, one investor barked back: "Yeah but that's just your opinion. I need assurances. We can't put a billion to work on this with an opinion backing it up." Look, I don't begrudge Einhorn or others who passed on Yahoo! because of either strong risk management hurdles or insufficient comfort based on their research to date. Every firm has to know when they'll take a pass on something. However, it was that hesitation on the part of others which was Loeb's (and other longs') opportunity. The difference between the potential return and the potential risk was -- in his view -- much more highly skewed to the upside than the downside. The bottom line is that you cannot just follow so-called "whales" and how they trade a stock. Do your own due diligence. Form your own opinions. Invest accordingly. Does This Former Alibaba Insider Think Alibaba Group Is Worth $50 Billion? A slip of the tongue from an Alibaba insider a year ago suggested Yahoo's stake alone in the private company is worth $20 billion. SAN FRANCISCO (MarketWatch) — Investor Eric Jackson has some ideas for Yahoo Inc. that could appease its battle-scarred investors and solve the problem of what to do with the company’s highly valued Asian assets. Some readers might remember that Jackson has been an outspoken investor when it comes to Yahoo YHOO -0.10% . In 2006, he wrote an open letter calling on Terry Semel to step down as chief executive. He also was one of the more vocal activists who criticized the board during Carl Icahn’s proxy fight with Yahoo in 2008. This time around, Jackson has been relatively quiet, mostly opining in columns on Forbes and on Twitter. First and foremost, he said he would prefer that Yahoo simply spin out its Yahoo Japan assets to shareholders, either though a sale to Softbank Corp. or some sort of other spinout. But if that doesn’t happen, his next best idea is for Yahoo to create three separate tracking stocks. It’s a tactic that has been used by other media companies in the past — including Liberty Media Corp., which embarked on the idea in 2006 and has since resulted in three tracking stocks. “They wouldn’t have to seek Softbank’s approval or Alibaba’s approval, which otherwise might be a sticking point,” said Jackson, referring to Yahoo’s 40% stake in the privately held Alibaba, the largest e-commerce company in China. In addition, Softbank JP:9984 -1.63% of Japan owns about 29% of Alibaba. “They would have to present it to shareholders, but that’s probably a foregone conclusion because anything that is going to create more value than the current status quo” would get approved, he added. Jackson, whose firm Ironfire Capital currently owns a stake in the Internet pioneer worth about $25 million, said he has pitched the idea to Yahoo, but doesn’t believe the company is receptive to this notion. Jackson’s proposal would include a tracking stock for the core Yahoo business, another for Yahoo Japan and another stock to represent its 40% stake in Alibaba. Investors appear to be fed up with Yahoo’s board, which fired former Chief Executive Carol Bartz two weeks ago. Hedge-fund investor Daniel Loeb, whose firm Third Point has a 5.2% stake in Yahoo, said he will wage a proxy fight and propose a slate of new directors at the annual meeting next year if he’s unable to make any headway with the board. “From the failed Microsoft MSFT +0.04% sale negotiations; to a subsequent bungled and disappointing search deal with Microsoft; through a series of misguided CEO selections; and most recently the Alipay debacle, this board’s failures have destroyed value for all Yahoo stakeholders,” Loeb wrote in his letter to the company’s board two weeks ago. As Loeb notes, one of the many sore points for investors is the company’s hefty stake in the privately held Alibaba, which has at least one pre-IPO property, Taobao. Jackson’s theory is that a tracking stock could mirror the value of the Asian assets, which cannot be easily spun off. The shareholders, though, don’t have any ownership of the assets they are tracking. Short of that, the tracking stocks would be a way to share some of the underlying value with investors. With a lot of the M&A talk going on regarding Yahoo, with private-equity firms reportedly looking at the company, Jackson said it would be a mistake to sell off the entire Alibaba stake. “It’s going to go through some huge growth,” he commented. Read more about potential bidders taking a look at Yahoo. Tracking stocks certainly can be problematic in and of themselves, because there still remains one legal corporate entity, one CEO and conflicts among the different shareholder groups as to the allocation of resources in a company. But since Yahoo’s core operations have nothing to do with Alibaba, a tracking stock for those assets might work as a way to assign the real value to the assets that many investors believe are propping up Yahoo’s shares. Another potential problem with this idea is that Alibaba is private, and its financials are mostly undisclosed. Investors would need this sort of data to evaluate such a tracking stock. Yahoo would have to disclose Alibaba’s financials to U.S. regulators as well as investors. Even Jackson agrees that with all the deal chatter, this scenario is not likely to happen, unless one of the companies looking at Yahoo is Liberty Media itself. With Greg Maffei, former chief financial officer of both Microsoft and Oracle as Liberty’s current chief executive, it’s not completely out of the realm of possibility. Therese Poletti is a senior columnist for MarketWatch in San Francisco. Christine Lagarde's charisma and speaking skills gloss over her dangerous lack of any formal economics training. Here is how Research In Motion's Jim Balsillie sized up the iPhone in 2007. The Most Likely Buyers for Yahoo! Which folks are likeliest to buy Yahoo! and at what premium? 2 Big Misconceptions About Yahoo! 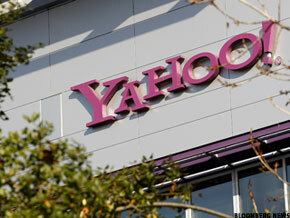 NEW YORK (TheStreet) -- Over the last week, there has been a lot of speculation about whether and how Yahoo! (YHOO_) might get acquired. The hounds have been circling the prey. There's clearly a lot of value embedded within Yahoo! 's core business, its stake in Alibaba Group and in its stake in Yahoo! Japan. However, there are many misconceptions shared in the mainstream media, including the venerable Wall Street Journal, surrounding some aspects of how value might be unlocked. Let me correct these misconceptions. First, let's talk about if Microsoft (MSFT_) or any other company was to swallow Yahoo! whole. Some have speculated that such a move would trigger a change-in-control clause that's part of the 2005 investment between Yahoo! and Alibaba Group. If that was true, Alibaba Group (or stakeholder Softbank) could object to such a deal and have a "right of first refusal." That would lower the value of Yahoo! 's 40% stake in Alibaba Group. Yet, I've spoken to investors in both Microsoft and Yahoo! -- some of whom have spent a lot of money on multiple law firms to go through the agreements -- and they are firmly of the opinion that this view is false. When Microsoft proposed acquiring Yahoo! back in 2008, a "change of control" clause would not have been triggered because Yahoo! would not have ceased to exist. The company would have continued as an operating entity under Microsoft. Microsoft would have gained full access to the Alibaba Group (and Yahoo! Japan) stake. Jerry Yang would have remained on the board. Yahoo! would still have the right to appoint a fifth member to the Alibaba Group board. The second misconception is around what the tax implications are for Yahoo! 's stake in Yahoo! Japan and Alibaba Group. Several media reports have indicated that these tax issues are weighing on Yahoo! 's ability to spin off or dispose of these assets. If Yahoo! has any plan to dispose of its Alibaba Group stake, they certainly haven't said anything along those lines, even though I've spoken out in favor of them selling 10% of their stake (4% of Alibaba Group overall). However, Yahoo! has been talking about unloading their stake in Yahoo! Japan since at least January -- and yet, they haven't done it, frustrating investors. Roy Bostock's Tarnished Legacy at Yahoo! Roy Bostock has been skating away assuming no responsibility for the mess that Yahoo! currently finds itself in. That's got to change. To maximize the price of Yahoo! 's stock, the board shouldn't go private or hire a dull CEO. They should hire Marc Andreessen. Yahoo! is about to face its first read test from an activist investor in Dan Loeb. I'll bet on Loeb. My appearance yesterday on Bloomberg's Fast Forward with Lisa Murphy discussing Yahoo. With CEO Allen Chan's departure from Sino-Forest earlier this week and the halt in trading of its stock, many investors are scratching their heads and wondering how or if they should invest in China. I've even heard some commentators on TV say that since the Shanghai index has been flat or down in the last few years, this is proof that China is not a great place to invest. Yes, but most people invest in particular stocks. For example, i\If you bought into Baidu(BIDU) at its March 2009 levels and held on to it until today, you would be up 845%. That's not bad. Of course, if you've invested in Sino-Forest or some of the other Chinese frauds, you have taken massive hits. So how should you proceed? Here's my advice. Don't ever put your money in a Chinese Reverse-Takeover (RTO) again. There might be some good ones out there, but I can't name any. It's not worth it. There is way too much risk for the potential return. Don't think a Big Four auditor is a guarantee that everything at a Chinese company is kosher. Longtop Financial had one. So did China Agritech. Both are now trading on the pink sheets. Don't think a big name investment bank is a guarantee that a company is legit.Goldman Sachs (GS) took Longtop public a couple of years ago. All things being equal, it's safer to invest in the bigger-cap Internet companies in China -- and they are less likely to manipulate numbers compared to a manufacturing companies over there. The big dogs of the Chinese Internet are Tencent, Baidu, andAlibaba Group. Alibaba is still private but Yahoo! (YHOO) owns 40% of it, which is why I love Yahoo! Sina (SINA) is trying to break into this small group of big dogs and probably will in the next couple of years as its Weibo users grow. Beneath the "big dogs," there is much more risk, so pick category winners. Sina is the category winner in Weibo (Twitter). Youku (YOKU) is the category winner in online video. Taobao (part of Alibaba Group) is the category winner in e-commerce. Look for value plays. Online gaming in China is severely undervalued at the moment -- especially compared to the expected valuation that Zynga is going to get when it launches its IPO. My two favorites in that space are Perfect World (PWRD) and Giant Interactive (GA). I also think Mecox Lane (MCOX) is massively undervalued compared to Dangdang (DANG). There are no guarantees in China. The Chinese government could rewrite the rule book tomorrow. The whole Alipay incident with Yahoo! shows the risks of Chinese investing. Just as it's possible in the U.S., There could be a big accounting restatement in any of the "big dogs" at any time. However, I think there is still another 18-36 months of growth ahead for China before a major correction, so opportunity does beckon for the right companies. At the time of publication, Jackson was long YHOO, SINA, PWRD, YOKU and MCOX, although positions can change at any time.